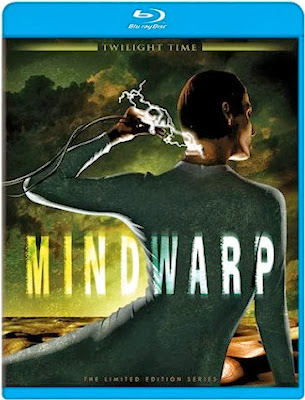 Rupert Pupkin Speaks: Twilight Timey: THE OTHER and MINDWARP on Blu-ray ""
This film has been underrated by horror fans for a long time and I'm not 100% sure why. Perhaps availability might be one factor. The DVD was only first released 2006 and as with many catalog titles, you'd probably have to have been looking for it to know it even came out. The film was director by master director Robert Mulligan. He was the man behind such classics as TO KILL A MOCKINGBIRD, LOVE WITH THE PROPER STRANGER(still sadly MIA on DVD), INSIDE DAISY CLOVER, THE NICKEL RIDE and SUMMER OF '42. This story of twin brothers, one seemingly good and the other not so much, is an interesting departure from Mulligan's standard kind of drama. 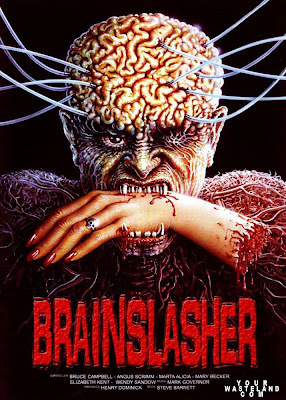 This one is the only horror-ish movie he ever made. It feels to me like a film that M. Knight Shyamalan saw before he made THE SIXTH SENSE. Or something that may have been at least a small point of reference for Christopher Nolan for his fantastic and oddly underrated classic THE PRESTIGE. Not that either of those films borrows directly from THE OTHER, but there is a certain artfulness in the storytelling of THE OTHER that is reminiscent of those later films. THE OTHER is truly fascinating though in that it is impressionistic and slightly obtuse and might have been a touch perplexing to the audiences who first saw it in 1972. It's almost an art film by way of horror. It's tricky not to relate it even slightly to THE OMEN, which was another evil kid movie that came out around the same time. THE OTHER is better though and more thought provoking than THE OMEN in my opinion. One thing that is obviously memorable in a time of face replacement effects is the fact that the twins(Niles and Holland) in the film were actually portrayed by twin actors(Chris Udvarnoky and Martin Udvarnoky). Seems pretty low-fi nowadays as I said, but I truly think it makes the performances more nuanced and interesting. Instead of finding a single actor to play the role and having them okay both parts, the film makers are forced to find twin actors that fit the part(s) and can act. In this case, the twins cast were unknowns as far as I'm aware and I'm often pleasantly surprised by unknown actors as I have no baggage attached to them from previous roles. These twins apparently never acted again in any other movies. Obviously it's impossible to expect most actors to not work on multiple films, but it makes for a unique experience when they make only one feature like this. Very impactful stuff. The transfer on Twilight Time 'a new Blu-ray is bright, colorful and full of rich detail. Included as an extra is a lovely isolated score track featuring Jerry Goldsmith's lovely music for the film. MINDWARP(aka BRAINSLASHER) is an interesting and still poignant sci-fi tale Set in a utopian futuristic society where all citizens are hooked into a virtual reality simulation system called Infinisynth. This system keeps people mostly in a sleep state and allows that their every wish be fulfilled. Think an interactive version of the final presentation that Edward G. Robinson sees in SOYLENT GREEN meets a fantasy creating holodeck. Once they are online, people awaken only long enough to eat and use the bathroom and that's it. Judith Apple is a young woman who has become disenchanted with Infinisynth. Craving some real experiences and human interaction, she is given an opportunity to be "taken offline" and dumped into the world as it really is. It's a classic case of 'be careful what you wish for'. What she discovers is that the outside world is a desolate, dystopian wasteland akin to something out of the ROAD WARRIOR(but with more mutants). She is soon rescued and taken in by a non-mutant survivor(played by Bruce Campbell) who gives her the lowdown. I found myself thinking that perhaps David Cronenberg may have been influenced at least slightly by this movie in the making of his own film eXISTENZ. 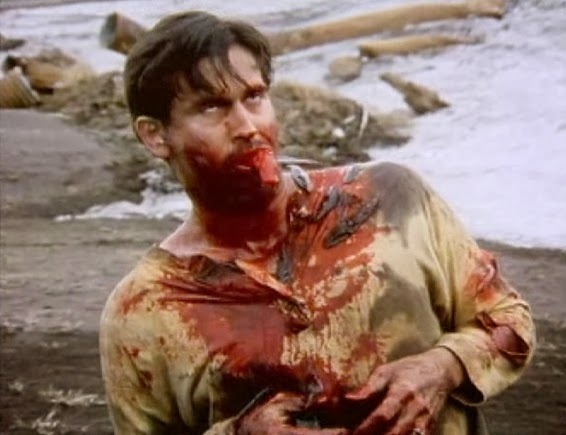 There are moments where a dirtied Bruce Campbell is fighting mutants that can't help but have me think if his Ash character from the EVIL DEAD films. Also, Angus Scrimm appears midway through the film and effectively portrays the mutant leader(with a dash of Sydney Greenstreet mixed into his character and line delivery). The mutant creature design,makeup and gore were done by K.N.B., so they are quite effective and well done. Though the film was clearly made on a limited budget, the story, the FX and the presence of some cult actors help elevate it and make it memorable. 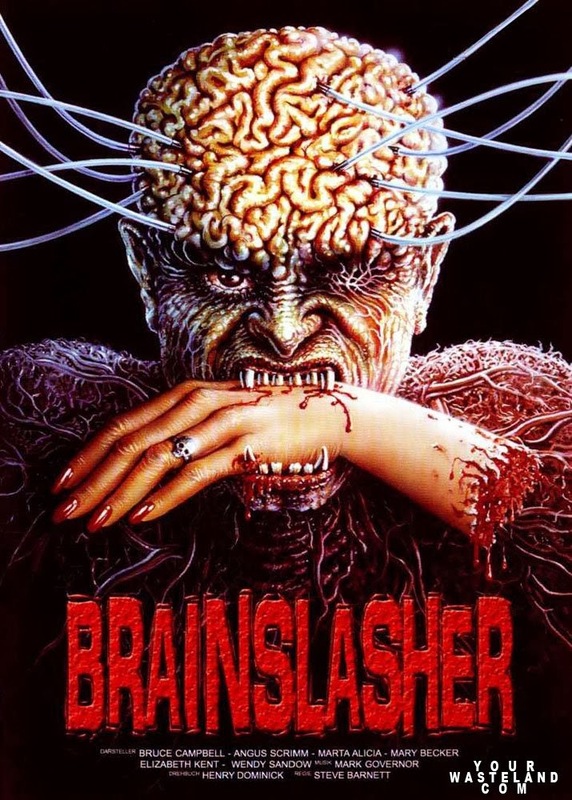 The film was notable the first produced by Fangoria films. Also, it should be noted that Twilight Time's Blu-ray is the uncut version of the film, with an extra minute or so of gore-y glop! The disc includes a lovely isolated score track(music by Mark Governor) and a vintage TV Spot for the film. I saw THE OTHER in the theaters in 1972, as a six-year-old kid, and somehow I totally got it (I think it's a particularly effective horror film for kids, by the way). In fact, I never forgot it. Must have seen it at least five more times at the drive-in and on TV during the following ten years of my childhood, and its gentle power to creep me out never diminished. One thing about it that always stuck me as unusual is the fact that it's almost all shot and set in daytime, and filmed with a gauzey haze (by master cinematographer Robert Surtees, who shot BEN HUR, THE GRADUATE and scads of other classic titles). 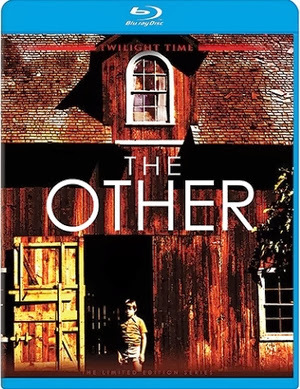 I don't think I've ever seen a horror film quite like it--it's quintessentially American, yet it totally feels like something out of Sweden or Czechlosovakia. The twins are superb in it, as you mentioned so precisely. 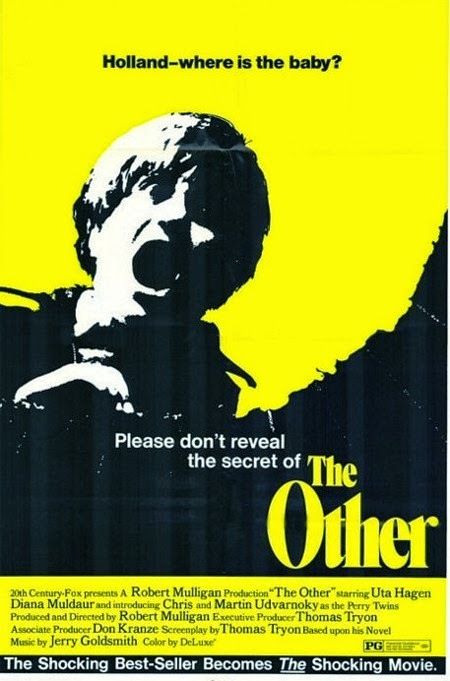 I like much of the other cast, too, including Diana Muldaur as the sickly mother, renowned actiing instructor Uta Hagen, in a rare screen role as the mystical grandmother, and John Ritter, who's too briefly seen. There are a few shocking images in the movie that will be kind of hard to shake (it has a nightmarish quality sometimes that clashes effectively with some of its more idyllic scenes). I also agree that this film's been pretty influential (which also shows that 1972 audiences were ready for it; it was actually pretty popular throughout the 70s, at least, as it played a lot at rep houses, on TV, and at drive-ins). I bet David Lynch took a look at it and liked it, for one. Anyway, I'm glad it's out in the proper way now! And, yeah, that Goldsmith score is fantastic.